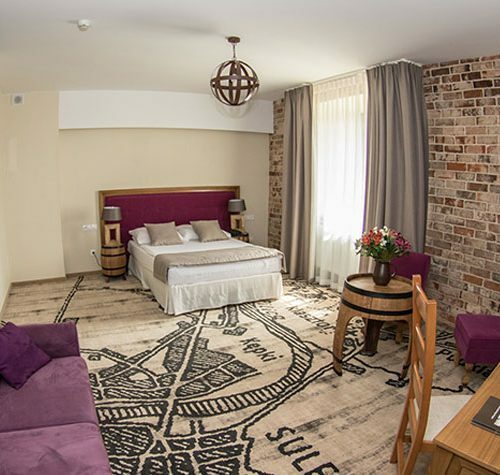 „Among mysterious 12th century buildings of the Cistercian Abbey, enriched with beauty of Pilica river valley, magnificent Hotel Podklasztorze proudly presents its majesty. Welcome to a place where the present meets the past. 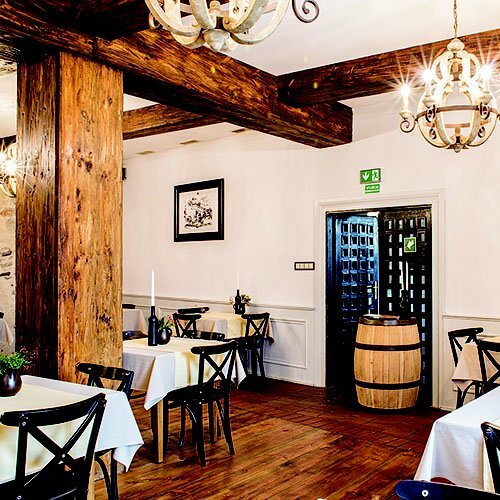 Monumental buildings, original historic interiors, medieval music coming from the Abbey which is just a dozen or so meters away, proximity of Sulejow Lagoon… You will find all you need to have some rest here, in central Poland, only 1.5 hours away from Warsaw. Children are our special Guests, treated in a unique manner. A colourful play room, special menu and welcome packages are just a few of the surprises we prepared for the youngest. Hotel Podklasztorze was a location of „Janka” television series. Moreover, scenes of “Pan Wołodyjowski”, “Potop”, “Naznaczony” and “Południe-Północ” movies were shot there. Hotel Podklasztorze offers an extraordinary journey to its Guests round the old Cistercian Abbey. Explore mysteries of the Cistercians’ everyday life. Location of Hotel Podklasztorze close by blue waters of a river, in the middle of the former Pilica Forest makes the place ideal both for those craving for relaxation as well as for thrill-seekers. Vicinity of Sulejow Lagoon Simple entourage to rest but also to active holidays. Location of the Hotel – right in the centre of Poland – only 120 km from Warsaw – is also of great importance. 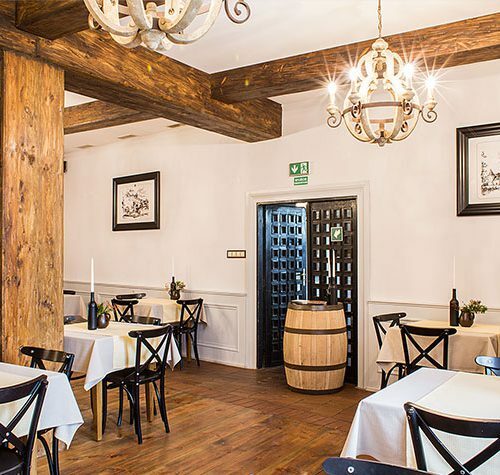 It is a perfect place to organize a conference, training, company banquet or event, especially for companies that have agencies in different parts of Poland. Hotel Podklasztorze was the first hotel in Poland to be granted historic monument status with an ordinance of the President of Poland. 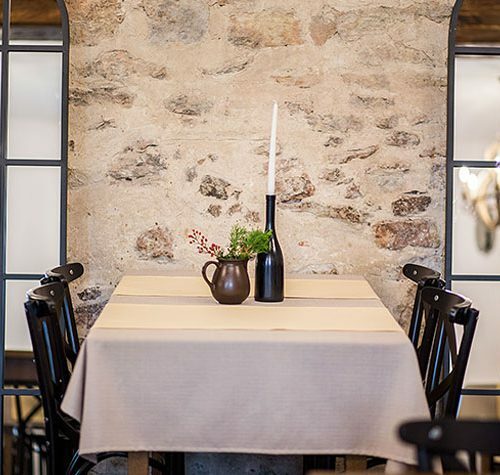 Hotel Podklasztorze draws inspiration from tradition, history and medieval hospitality. It is a place where the Cistercian motto “Ora et Labora” – “Pray and Work” acquired a new and modern dimension. Discover exceptional interiors, attention to detail and passion for history, and find out what makes Hotel Podklasztorze such a special place. Only here will a person live in a real Cistercian Abbey and take part in an exceptional time travel. Personalized suites and superior rooms, every of them has a patron, are at our Guests’ disposal. 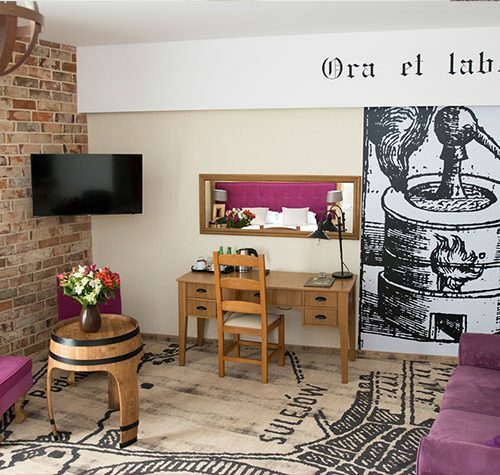 Guests who come to us can decide whether they choose Winemaker’s, Gatekeeper’s or Abbot Salomon’s room. 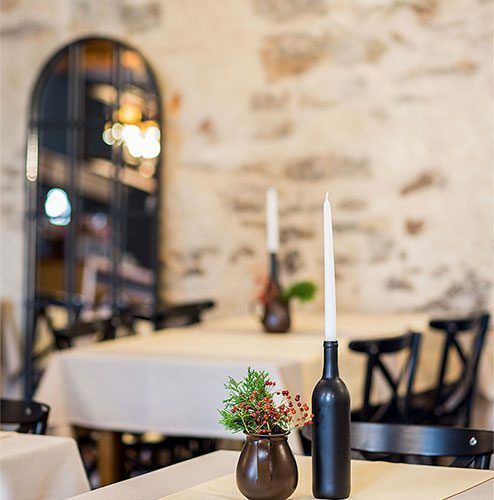 The restaurant has period and historic interior where every detail matters. Menu is based on fish from surrounding bodies of water as well as on forest animals. As the name says, the restaurant abounds in wines and meads but it also offers a broad selection of Belgian beers home-made in the Cistercian order. Romantic interiors and picturesque sights facilitate relax and regeneration. SPA in Hotel Podklasztorze is a place scented with aromatic oils where senses kindle imagination and fluids of happiness float in the air. We provide convenient conditions to carry out both small business meetings as well as big, complicated ventures. Great property both in terms of architecture, location and interior. Beautiful rooms finished with taste. Place to visit and stay. Tasty breakfasts, however, the room turned out to be a bit too small for our organized over 100 people group. Nice service. Great hotel in a historic monastery, service at the highest level. I would recommend using spa & wellness services, full of professionalism and of course nice atmosphere. Mrs. Sylwia is sensational :) I would recommend this hotel and will definitely be back! Only with us live in the real Cistercian Abbey and you will make an extraordinary journey in time.